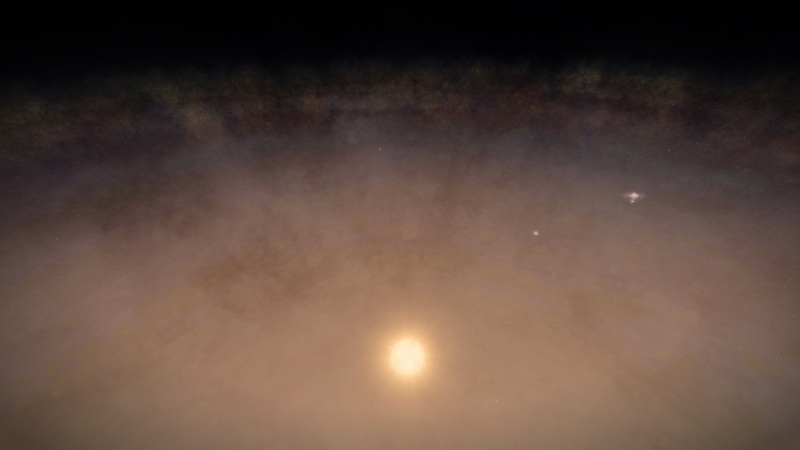 This system was visited for the first time on EDSM by Parabolus. 1807 ships passed through Swoals IL-Y e0 space, including 28 ships in the last 7 days. 3 ships passed through Swoals IL-Y e0 space in the last 24 hours. 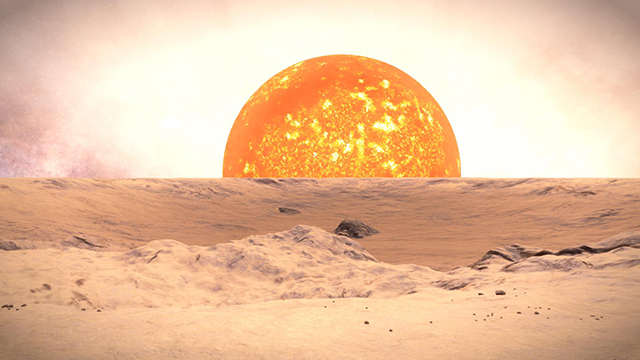 Located 2,850 light years above the galactic plane, on the fringe of intergalactic space, is a large red giant Carbon Star with a sole landable planet in its close proximity. The orbit of the metal-rich planet is perpendicular to the distant galactic dust and stars, serving as a perfect backdrop for intense light with the Carbon Star in the foreground. In the distance one can no longer discern distinctive stars, but rather, the galaxy appears as a luminescent haze of glowing light and fire. In the foreground rest a Goliath C-N Carbon Star 29 times the radius of the sun. With its primary Neutron Star, this system serves as a distant point of departure for those trying to reach 3,000ly above the galactic plane. Nearby are multiple black holes and Neutron Stars reachable only with jumponium at the upper limits of the galactic ceiling. 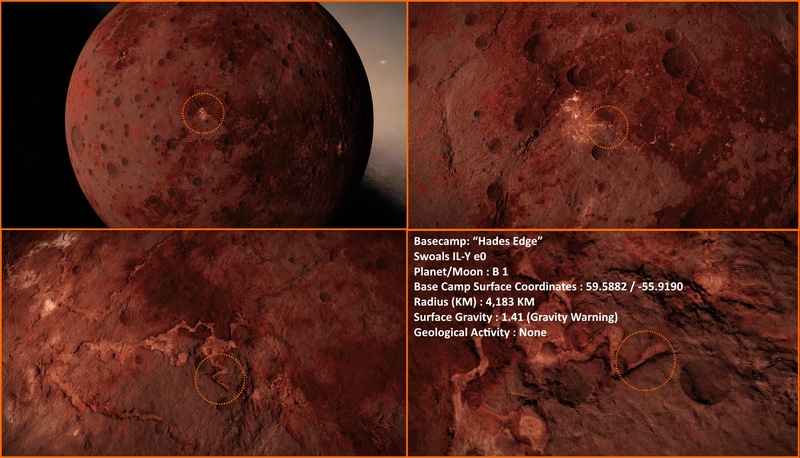 Goliath's Rest was discovered by CMDR Parabolus during the SHEPARD Expedition of 3303. 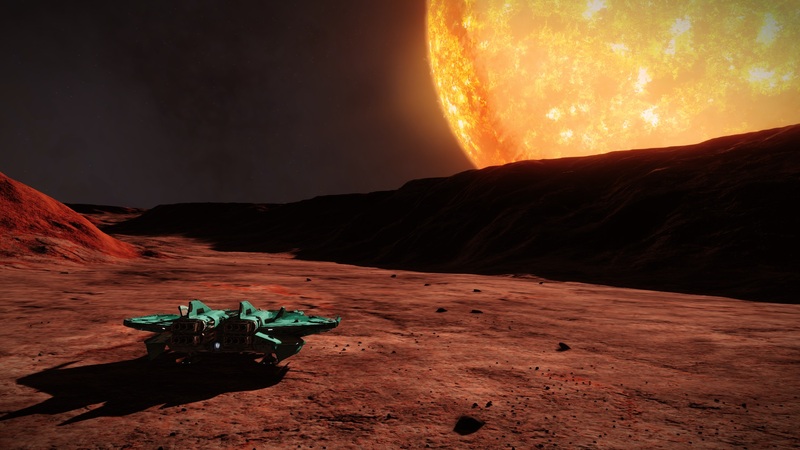 During the Distant Worlds 3305 Expedition, Goliath's Rest acted as Waypoint 8.